Aqua, Sodium Coco-Sulfate, Cocamidopropyl Betaine, Decyl Glucoside, Aloe Barbadensis Leaf Juice Powder*, Triticum Vulgare Gluten, Ananas Sativus Fruit Extract, Yucca Schidigera Stem Extract, Camellia Sinensis Leaf Extract*, Rosmarinus Officinalis Leaf Extract*, Aroma [Pelargonium Graveolens Oil*^, Santalum Austrocaledonicum Wood Oil*, Lavandula Angustifolia Herb Oil*^, Lavandula Hybrida Herb Oil*, Citrus Aurantium Dulcis Peel Oil*], Potassium Sorbate, Sodium Benzoate, Citric Acid, Limonene*, Linalool*, Citronellol*, Geraniol*. Apply a few drops to wet hands, work to a lather and wash. Rinse thoroughly with warm water. 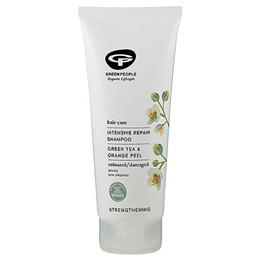 For best results follow with Green People Intensive Repair Conditioner. 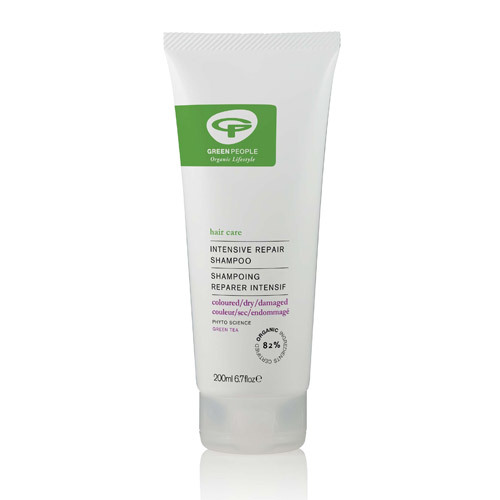 Below are reviews of Green People Intensive Repair Shampoo - 200ml by bodykind customers. If you have tried this product we'd love to hear what you think so please leave a review.